Are you ready for the perfect smile? Veneers may be the answer. The process of providing porcelain veneers begins with a consultation appointment with the dentist. At this consultation, treatment options and your desired outcome will be discussed, and then a treatment plan will be produced. Sometimes a mock up of your teeth will be created by the laboratory, so that you can see the likely end result of the treatment. Next, a preparation appointment is made. At this stage the teeth involved are prepared for the veneers. This usually involves shaving a small amount of enamel from the front surface of the tooth, and in some cases, can involve no preparation at all. An impression or mould is then taken of the teeth and sent to our laboratory technician. 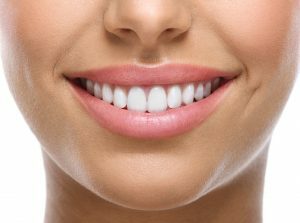 Temporary veneers are then placed over the prepared teeth until the next appointment. Two weeks later, the veneers are bonded to the teeth using very strong, adhesive cement. Porcelain veneers are a very quick way to dramatically transform your smile.